~ We hold these truths to be self-evident that all cocktails are not created equal. We declare our duty to the District of Columbia to defend your rights to Life, Liberty and the Pursuit of Happy Hour. I needed a wing girl. A good family friend of mine recently opened a very chic store in Old Town, named Patina, and I was dying to check it out. A sunny, Thursday afternoon made for the perfect opportunity and my buddy, Gwen, said her usual, “Yeah, girl!” when I extended the invitation. As the fall colors guided our drive, Gwen informed me it was her first visit to Old Town. Naturally, I was determined to make our outing a fun one. That was enough to sell Gwen and me. Chadwicks, which also has a location in Georgetown, is right next to Waterfront Park off of King Street, in the heart of Old Town. The location is perfect for a stroll down the main corridor followed by the major eye candy that is the boat club marina and the Potomac River waterfront. When we walked into Chadwicks, we immediately recognized that it was a local hotspot and not some touristy, must-try. Despite our status as outsiders, Karen, the veteran bartender, welcomed us to belly-up to the expansive and timeworn bar that oozed of character. It clearly has been the sight of many memorable nights, loud conversations and innumerable toasts. Chadwicks casual bar is full of personality. 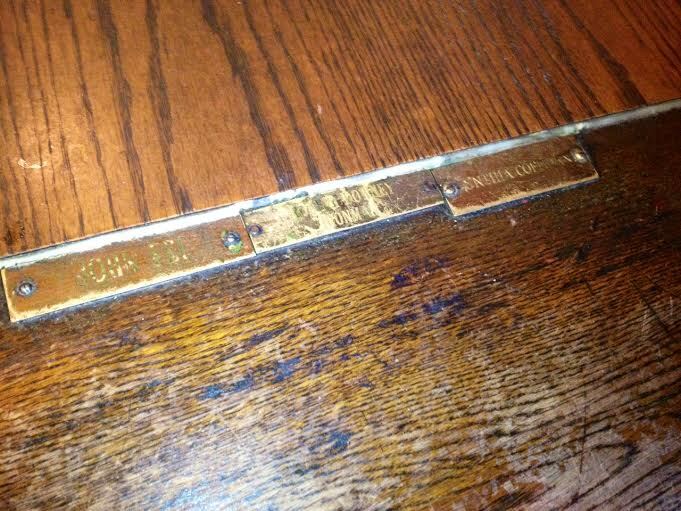 Gwen and I couldn’t help but notice the many small brass plaques that lined the long bar. Karen informed us that they are the names of customers who have passed away. Through the little plaques, their friends can commemorate and forever include them in the energy and ambiance of their once-beloved watering hole. So cool! Plaques pay homage to patrons along the bar. While we perused the various names in front of us, Karen brought over the menus and pointed to the Happy Hour specials: all bar menu items and three kinds of drafts, $4; house drinks, wines and select bottled beers, $3. One Blue Moon (Gwen) and a scotch on the rocks (me) later, and it was time for some food. While Chadwicks is known for their ribs and crab cakes, we stuck with the bar menu and followed Karen’s recommendations. 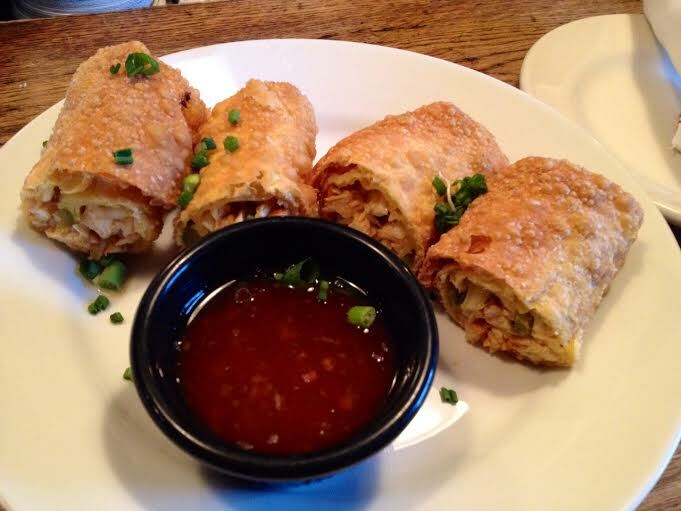 Quesadillas and the spicy chicken egg rolls hit the spot. At first I was a touch skeptical about the egg rolls, but Karen kept pushing them and we discovered the reason. Just enough heat paired with a tangy sauce; the plate was quickly cleaned. Then, feeling like we needed something healthy to round out the meals, Gwen and I each ordered a side salad. When it was time to go, both our appetites and wallets approved. 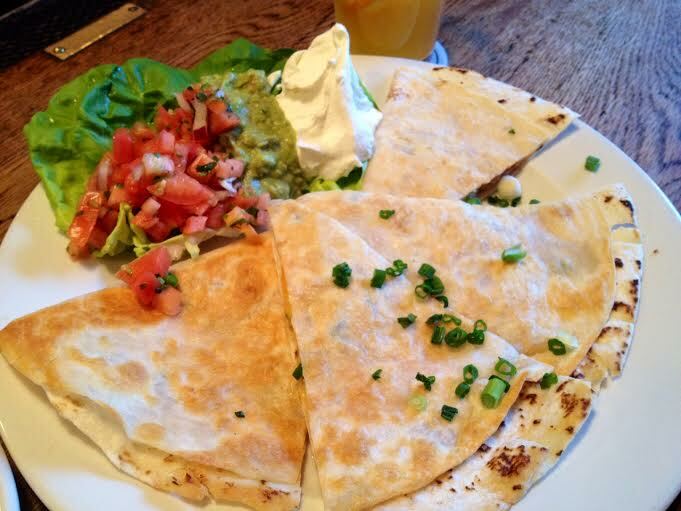 The Quesadillas, another Happy Hour special. By 5:15, Chadwicks was buzzing. The big bar/restaurant has a dog-friendly outdoor patio, a nautical themed upstairs and a couple of other seating areas for patrons looking for a full dining experience. 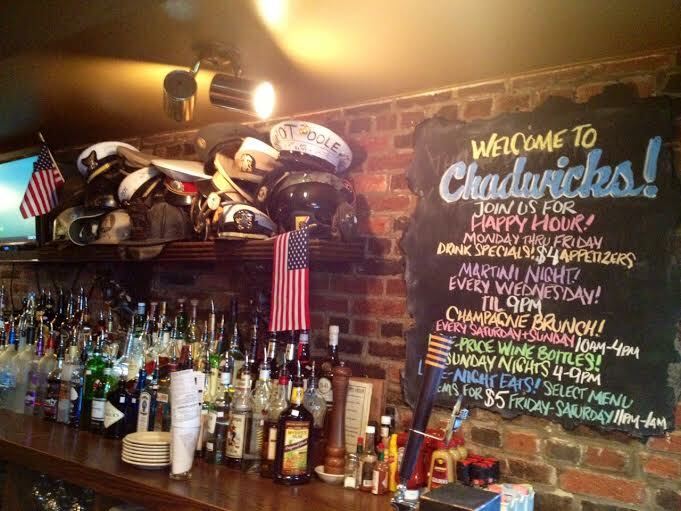 Next time you are in Old Town with a hankering for a casual, reliable and well-priced happy hour, Chadwicks fits the bill. 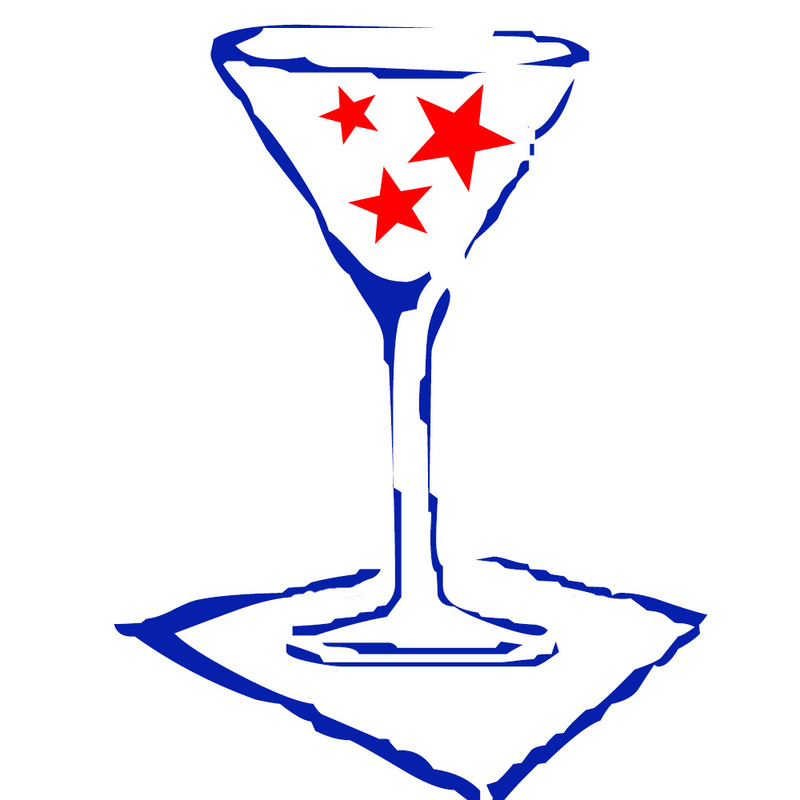 Also, a fun fact about the Georgetown location: On Tuesday nights the happy hour deals run from 4pm until close. Something to keep in mind! Broadcaster-in-training, Georgetown grad student and Spartan alumna. What kind of happy hour are you looking for?